When it comes to cooking at home many of us like to feel just like we are a professional chef rustling up a treat in our restaurant. But aside from popping on a chef’s hat how can we make sure we cook just like the pros? The tools that you use in your kitchen are a big way to transform how you cook and one that we love the most has to be the mandoline. A julienne slicer can quickly become one of the most reached for items in the kitchen; and once you see just what it can do for you it really is no surprise. So why don’t we learn more about mandolines, why we all need one and how to make sure that you buy the right one for you. 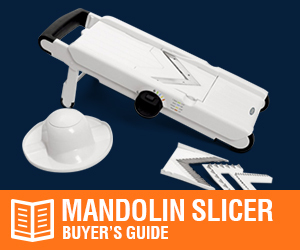 The best place to start on our mandoline slicer journey has to be with learning more about the different varieties there are available on the market today. You may think that they are all the same; however, there are differences between the three main types. 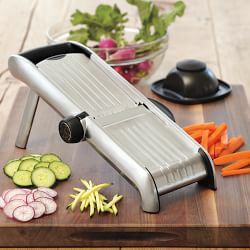 If you were to visit a culinary school, then this is the slicer that you would be most likely to use. It has a sturdy and heavy body made from stainless-steel with interchangeable blades that usually vary by up to ½ inch. These blades can be changed to chop julienne, batons and even ridge slices and can be sharpened when you need to. French julienneblades are thick and they are more prone to dulling. Some chefs also think that these bulky tools are difficult to use and even dangerous in some circumstances. Once chef’s progress from culinary school into a professional kitchen; they are likely to use a Japanese slicer. They are much lighter than the French variation and features a diagonal, incredibly sharp blade. Small and compact, the cuts made by these juliennes are usually cleaner, this is because they are easy to control when slicing.They are also ideal for storage too. Over the years there have been developments in the world of slicers; and the V-Slicer is a definite example of this. These mandolines have v-shaped blades. Rather than just using one blade to slice your food, this type of julienne uses two diagonal blades; giving you double the cutting power. Why they are Mandolin Slicers Right for your Kitchen? Despite many professional chef’s boasting pretty impressive knife skills, it is still hard to make sure that all slices are uniform and quickly. This is why the mandolin slicer has become a go to tool in many restaurant kitchens. So how about having them in the home? The benefits are pretty much the same. Mandoline Slicers or juliennes are great for a variety of dishes. They can cut vegetables to a consistent thickness each and every time. When creating a salad, it does mean that all the vegetables that you serve up will look pretty good. Whilst this is great when you have guests that you want to impress, the benefits of a slicer goes much deeper than that. When it comes to creating chips, especially French Fries, you will want to make sure that the chips are not only nice and thin, but that each one is the same thickness. Chips of differing thickness will cook at different rates and this could lead to some being raw and some being burnt. Not what you want for dinner! How do you make sure that you pick the right julienne slicer for you? There are two things that are important in a mandoline. One is that it is sharp; after all a blunt blade is never going to produce the clean cuts that you need. The other is that it is safe, the last thing you are going to want is to end up visiting your local hospital and accidently julienning your fingers rather than the carrots. As you have seen there are different varieties of these slicers that you can buy. Single straight blades, diagonal blades or even v-shaped blades. It is important that you pick one that not only allows you to keep control but also gives you clean and even slices. 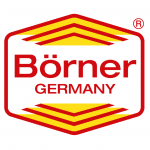 So what are the main considerations when picking the best slicer? We think it can be summarised into 4 different categories. Design, versatility, price and added extras. With so many varieties of julienne available it is up to you whether you opt for an older design or one that is more modern. Whilst older styles are usually made of wood with a simple blade design, the more modern juliennes will be made from metal or even food-grade plastic. Both have their benefits, but when it comes to cleaning and maintaining; the modern style may just have it. If you want a simple straight slice then why not go for a basic, older style of mandoline? These will offer everything that you need. For those who are looking to create a variety of different cuts, such as wavy and julienne, might need to opt for a modern julienne. These particular styles are adjustable and you can interchange blades with ease as you change the item that you are slicing. Just like other kitchen gadgets juliennes are available with varying price tags. But which one is the best for you? Higher end models (those with the higher price tag) will be constructed from the highest quality materials and feature the best blades. Mid-range options may not have the all singing and all dancing features that their more expensive counterparts do, but they can still slice well and create even cuts! Although, if you can, it is best to invest in a higher or mid-range mandoline, for those on a budget you can also pick up a great gadget. They may just be of a simpler design and have less interchangeable blades for you to choose from. Just like other kitchen gadgets, many juliennes come with added extras that others don’t have. Many will come with a variety of blade attachments so that you can change them as and when you need to. You may also find that some are available with protective gloves to wear whilst you chop and blade guards; after all, safety is vital when you are in the kitchen. Looking for the right mandolin slicer for your home – well you have come to the right place. We have plenty of reviews and thoughts on the best on the market and here are three of our favourites. The OXO Good Grips Hand Held Mandolin takes a lot of the effort out of thin slicing. It’s idea for making anything from potato gratin to an Apple tart, to slicing cucumber thinly for a salad. The simple functionality means you merely have to turn a knob to get the ideal thickness. Slide the food over the OXO Good Grips Hand Held Mandolin and watch through the clear surface to see how much you’ve cut. It’s easy to slice on a board or plate or into a bowl and the food holder means hands are protected when not in use. Handprotector is a necessity and works very well. The VonShef ‘V’ Shaped Multi Slice comes with five blades alongside its own storage container. The VonShef ‘V’ Shaped Multi Slice has been created to meet numerous cutting needs and this is provided thanks to the fact the blades can be interchangeable. This means that it’s possible to make a whole range of different sizes and styles of items including onion rings, gratin, salsa and coleslaw. The blades on the VonShef ‘V’ Shaped Multi Slice are made from stainless steel and can be easily cleaned. The device itself is ergonomically designed and includes a finger guard to ensure fingers are kept safe. There’s also a handy container for storage when not in use. The HomeNative® Adjustable Mandoline Slicer is a mandolin slicer with detachable blades that can be interchanged. The device itself comes with a food container base which means all of the sliced items end up in one place in a tidy manner. 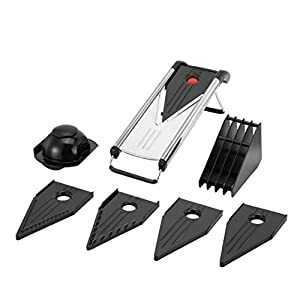 With four interchangeable blades the HomeNative® Adjustable Mandoline Slicer device can cut in a variety of manners and is ideal for everything from cheese to carrots. 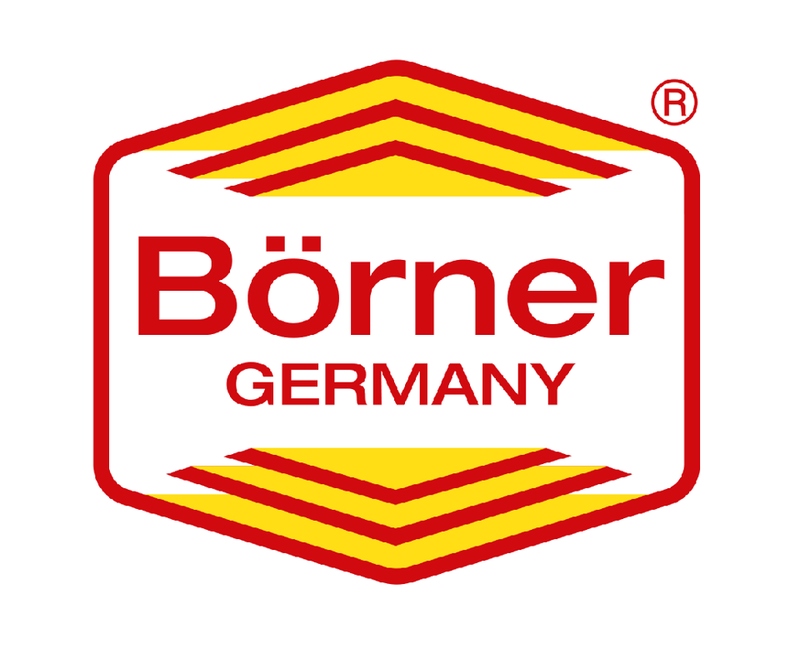 There is also a safety hat on the HomeNative® Adjustable Mandoline Slicer offering protection. • Food container base to catch all your cuts! Safety is a huge factor to consider when you are using a mandoline. 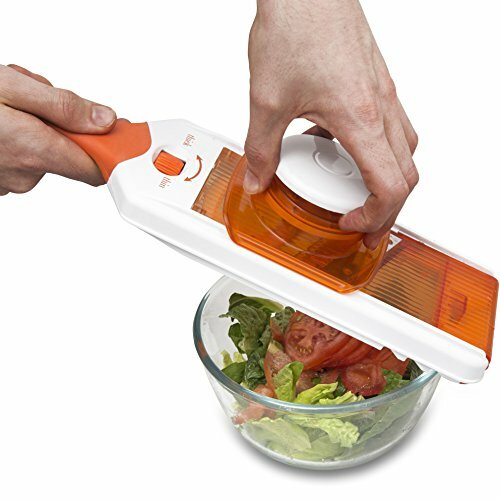 When you think about it, this kitchen gadget is essentially a guillotine blade that you are moving around in very close proximity to your hand. If you cut yourself with a knife, then it can hurt and end up with a trip to the hospital; however, if you catch yourself with a julienne then you may cause yourself a much more serious injury. One way that you can take care of yourself whilst using a slicer is to make sure that you always use a good hand guard. This is particularly true if you are a newcomer to the gadget as this will only increase your risk of injury. If you happen to lose your hand guard, then it is recommended that you buy one as soon as possible. If you need to use your slicer in the meantime, then a folded kitchen towel is a good substitute but make sure you order a guard as soon as you can. Another great way to protect your hand is to purchase a cutting glove. They come in a variety of different sizes and are an inexpensive way to reduce your risk of facing a nasty injury. When you buy a julienne you may want to know exactly what is required to keep it looking and performing well. The blade is one of the areas that takes the most maintenance. After all, a dull blade can be one of the most dangerous things. Whilst you can sharpen your blades as and when you need to, you may need to buy a new blade (or a new julienne) if you notice issues. It is also recommended that you don’t put your mandoline in the dishwasher, this is because the heat can dull those all-important blades. Instead, just give your julienne a (very careful) hand-wash and then make sure it is completely dry before you pop it away. Any Great Mandolin Slicer Recipes that I can try? If you are now inspired to pick up your very own julienne then you might wonder exactly what you can create with it. Well, we are here to help. 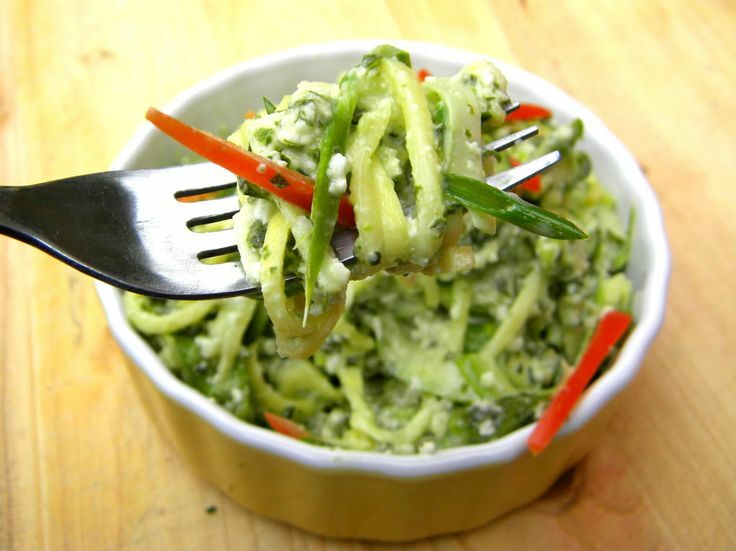 We have put together two of our most favourite things to create with a julienne. Why not try these out and let us know what you create? We have to say that the thought of munching on a raw asparagus isn’t always something that appeals; but once you introduce these veggies to a mandoline you will create a tasty addition to salads. The most important thing to do is to try and get the thickest stalked asparagus that you can. This will make it easier to ribbon them and also give you more to eat! That said why not take the opportunity to explore different flavours; shallots, ricotta, capers, Dijon mustard and even simple lemon juice can all enhance the flavour of the asparagus and create a dish that you cannot wait to dive into. It is tricky to find someone who doesn’t love sweet potato fries. Crunchy, sweet and just a tiny bit delicious; they are an ideal side dish for a salad, steak or perhaps a burger. So how can a mandoline help? Rather than having to carefully chop each potato by hand, using a mandoline means that you can have uniform fries that will cook to perfection. We recommend that you cut the potatoes into discs rather than long fries. In doing this we have found that they cook better and produce beautifully crisp, yet still soft chips. If you are feeling extra creative and have the right blade, why not cut them with a ridged finish? We love our sweet potato fries infused with a touch of chilli. Here is how we create our fries. 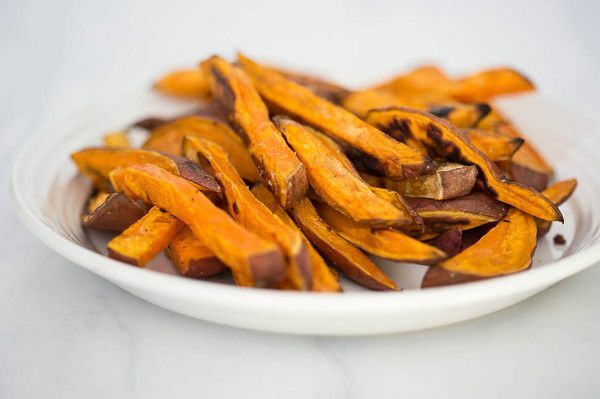 Once you have sliced the sweet potato until they are about 1/8 inch thick you will need to pat them dry with a kitchen towel before tossing them into the olive oil. After you arrange them on the baking tray you should sprinkle them with salt and chilli powder (as much or as little as you like). The fries will need to be baked in an oven which is preheated to 200°c for 10 minutes, then you should take them out and flip them over. Don’t forget to give them another sprinkle of salt and chilli so they taste good all over. Carry on cooking them for another 5-10 minutes until the edges are slightly crispy. You should always let them cool for around 5 minutes before you serve, just to make sure they are nice and crispy. Not everyone is a fan of the spicy nature of chilli, so if you want to find an alternative flavour then we can recommend; plain salt, cumin, smoked paprika or even curry power. So there you have it, our guide to the world of julienne slicers. From creating beautiful salads to ensuring that you have the crunchiest most delicious fries; the mandoline really can do it all! 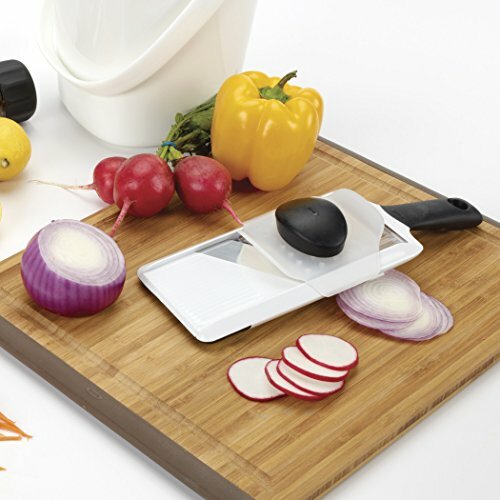 Invest in one in your kitchen and you can be chopping, slicing and ribboning like a pro in no time at all!